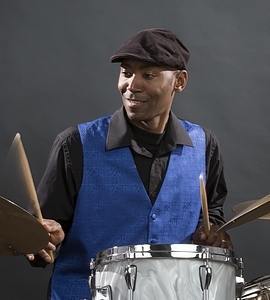 Kenny “Beedy Eyes” Smith is the son of the most iconic Chicago blues drummer in blues history. 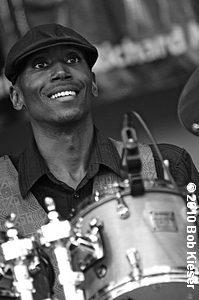 His dad, Willie “Big Eyes” Smith, played drums on each of Muddy Waters’ six Grammy winning CDs. Hard shoes to fill. Ask Bernard Allison, son of Luther Allison; Ronnie Baker Brooks, son of Lonnie Brooks; or Mud Morganfield, son of Muddy Waters. 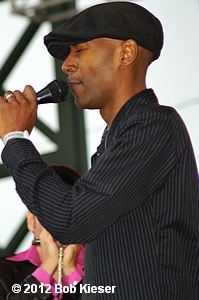 In the six years since his father’s death, Kenny has not only taken over the position as the go-to drummer in Chicago blues, he has “pushed the envelope” as he says to add bandleader, songwriting, production, booking other bands, piano playing, and “tooting” on the harmonica to his resume and/or repertoire. 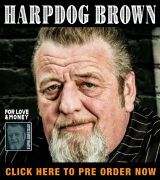 He is not just liked but adored by a list of blues royalty that goes on for several pages of endorsements on his webpage. Talking to him is really a pleasure. This guy is just old-fashioned nice. And he flat out does not allow any of the issues like race, age, style, or repertoire that might plague the son of an icon to get in his way. He’s tight with just about everyone in blues from elders like Bob Stroger or younger artists like The Cash Box Kings. The disparate list of friends he’s worked with includes Buddy Guy, Taj Mahal, Keb Mo, Lurrie Bell, Tail Dragger and Kim Wilson. And that’s not one tenth of it. So, what makes Kenny tick? 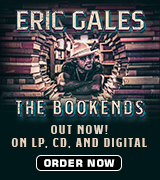 How does he avoid the angst that’s almost a prerequisite for getting so deep into the blues? First off, he comes from a family that’s well adjusted. Lizzy Mae lived with the family. Second of all, even though his father was on the road a lot, he also spent time with Kenny who rubbed shoulders with Muddy Waters at rehearsals in daddy’s basement. “I mean, one thing if you’re around as a kid, you’re around it (the blues) your whole life. It’s what you know. You see your father doing it constantly, definitely you’re gonna get good at it. You’re gonna take notes. You’re gonna start really investigating that, seeing what it’s about. “I remember when I was four and five years old (Muddy Waters’ band) was rehearsing in the basement, and I’d say I’m gonna go and really check this out, see what they’re doing and see them play the music and watch them have fun as they was doing it. The music somewhere in there grabbed me, and from that point I feel it drawed a stronger connection between me and my father first. I have a strong connection with my father, with or without the music, but putting that other piece in the puzzle right there definitely took it up a heck of a lot of notches from my experience because it was like just learning, learning from him. So, it was like a way to connect on another level. There is a fundamental difference between Mud and Kenny. Muddy was rarely around for his son, but Kenny and Willie were always close. Kenny views his position in the blues world as a spoke in the wheel. He looks at creating music as being like painting and he uses his dad’s style as a jumping off point for his own muse. 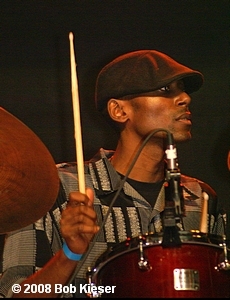 He plays drums, sings and leads his own band and is proud of his legacy.